February is right around the corner and this is just a heads up for you lovers out there that Valentine’s Day is just around the corner. Women are probably already out shopping and the fellas should get on it before it’s too late and there are no roses left to buy. We have a few r&b releases to review this time around, but as the date approaches there will definitely be more to choose from. One thing is for certain, this site will never run out of music for you to play for your significant other, we have you covered on all of that. DJ Triple Exe is back on the scene with another usual two releases of hip hop and r&b. 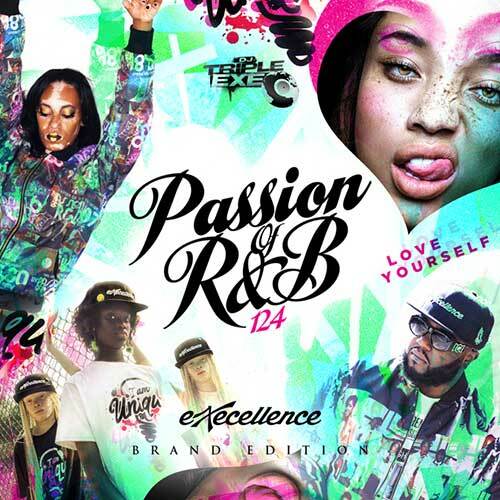 The next installment of the music catalog titled “The Passion Of R&B” is up to number 124. This edition contains a playlist of new songs by musical artists such as Drake, Rotimi, Ty Dolla $ign, Trey Songz, T-Pain, Chris Brown, G-Eazy, Kehlani, Chloe, Halle, R. Kelly, Brandy, Usher, Mila J, Cassie, Bobby V, Omarion, Angel, Tyga, Lucille, Bruno Mars, August Alsina, Justine Skye, and many more top recordings acts. 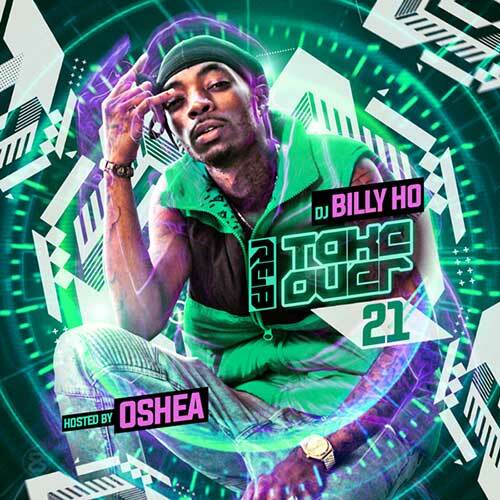 R&B singer Oshea hosts part 21 of DJ Billy Ho’s next product labeled “R&B Takover”. 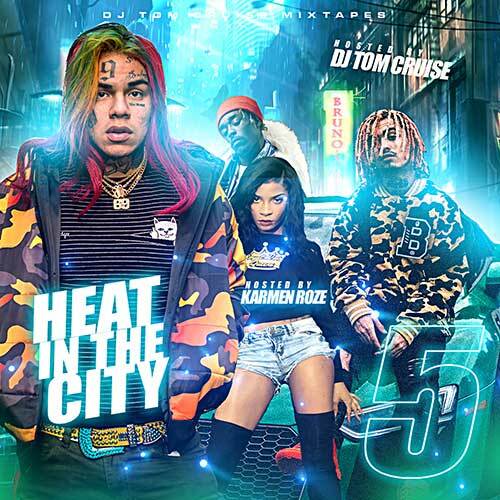 Check out tracks on this volume from the host, A$AP Rocky, 24Hrs, PnB Rock, MadeinTYO, Stan Sono, Jason Daxon, Blackbear, Tory Lanez, Verse Simmonds, Malachiae, Travis Garland, Roy Woods, Elliot Trent, Solo Lucci, Damani, Jermaine Elliot, Rocky Diamonds, Marc E Bassy, and much more on this 27 song track listing. If you like the cover artwork and want to contact the designer, make sure to hit up Skrilla. He has very reasonable rates and his graphics are outstanding. DJ Tom Cruise is set to fire up the streets with his next drop. Karmen Roze host’s volume 5 of the “Heat In The City” collection. Artists to check for on this title include the host, Hoodrich Pablo Juan, Gunna, Young Thug, Lil Uzi Vert, Snypa, Lil Pump, Meek Mill, Famous Dex, Jody Lamak, Young M.A., Gualla Gotti, Lil Wayne, Kodak Black, Hot Boy Turk, K. Camp, Cartier Cam, God Among Zombies, Ralo, Trouble, Young Dolph, and others. You can also find two new freestyles by Lloyd Banks on this product. If you can’t wait to check them out after the jump, play the tracks below through youtube. 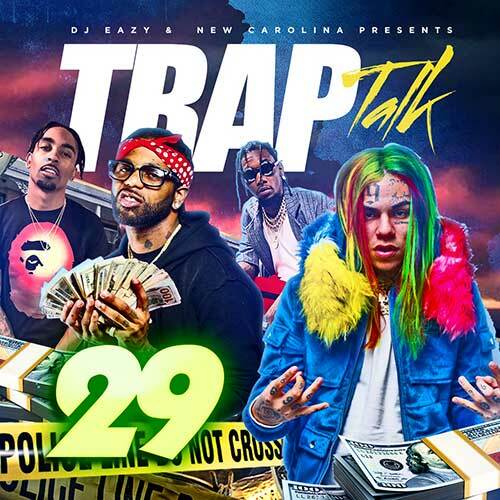 DJ B-Eazy is back on it with #29 of the “Trap Talk” series. Emcees to listen for on this drop are Lil Baby, BlackBoy JB, FBG Woogie, Future, Lil Malik, Tee Grizzley, Don Q, Lil Malik, Slugz, Omeretta, King Sean, Offset, Dave East, NBA Thr33, Floss Ru, Money Man, Pablo Cinco, Yung Mal, Nino Buxx, CFN TrapGod, Lil Quill, Sahbabii, Fastlife Juke, Canonball Mack, King VMA, and other hip hop lyricists. This DJ is dropping all the time, so keep an eye out for his releases. Finally, DJ E-Dub releases a title with well-known rap emcees and some that are on the come up. 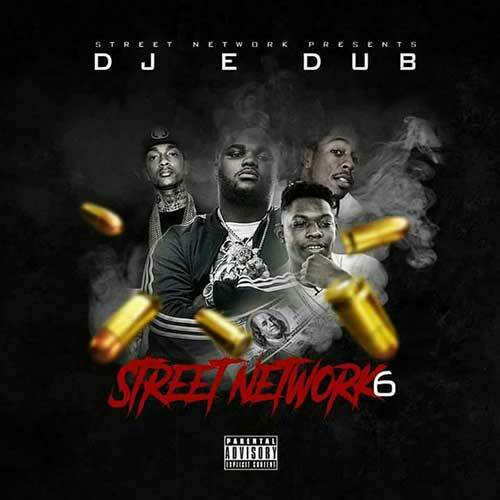 Number 6 of the franchise labeled “Street Network” gives you a sample of what’s to come in the hip hop game. This 34 track playlist contains lyrics by JayDaYoungan, Drizzle Dollar, Nipsey Hu$$le, Plies, Bambino Gold, Dniro Loots, Suny Redd, Seanie Boy, Strap, Starlito, Young Dro, Block, Lotto Savage, TK Kravitz, L Roy, Young Buck, 28 Drizzle Dollar, Lamar Love, and others.